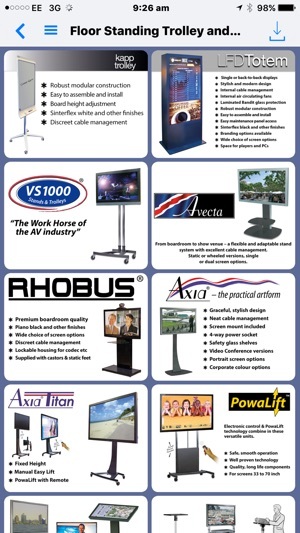 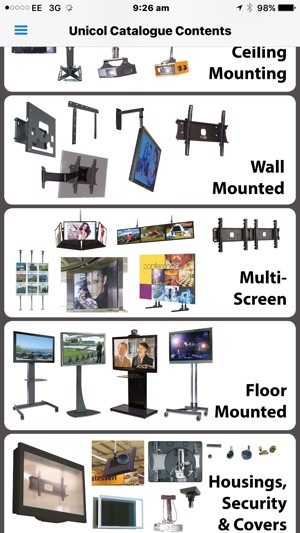 UNICOL provide mounting solutions for Audio/Visual equipment. 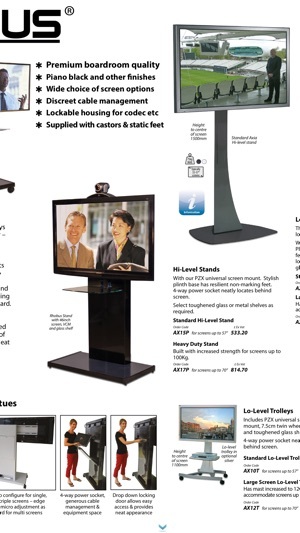 This catalogue covers solutions for projectors and flat panel displays. 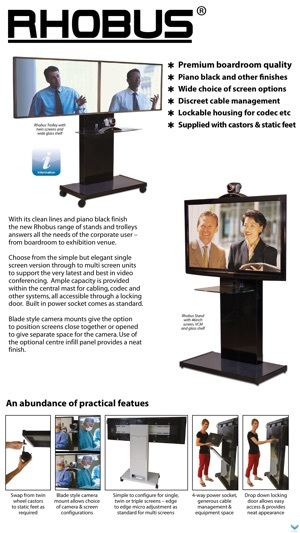 These can be floor based solutions with trolley or plinth bases, ceiling suspension or direct wall mounted. 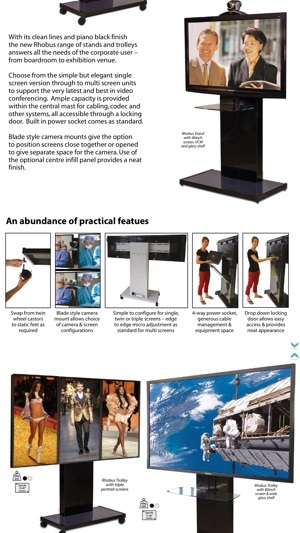 Our systems are flexible and modular, they can also be customised for special requirements.